Another Can Am Day celebration has rolled around. This is my third year of writing about it. 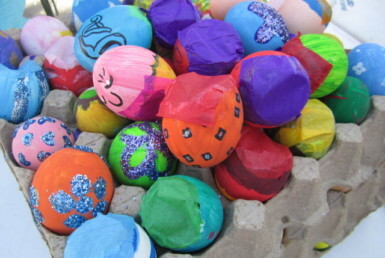 If you are ever in the area at this time of the year, be sure to be part of it. It is always between the Canadian Independence day, July 1st, and the American Independence day, July 4th. This year it was held on July 2nd. 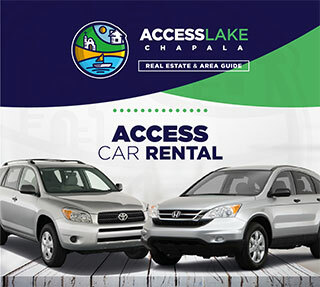 It is held at the Lake Chapala Society. 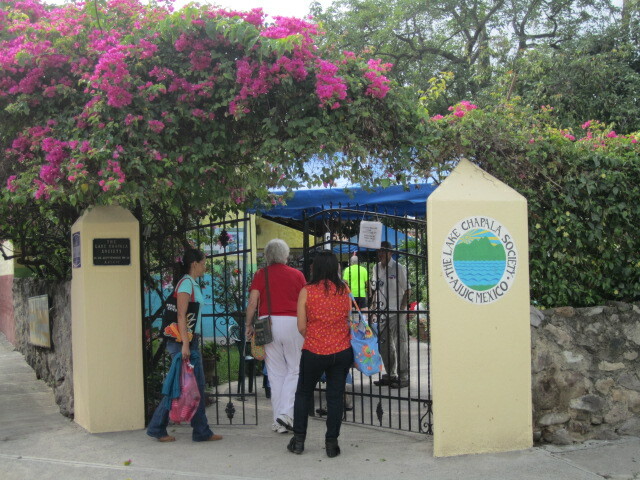 The gate opened for Can Am Day at ten a.m. and closed at five p.m. It was busy all day long. I know, because I was there all day. We had one rain storm but it only lasted about an hour and then the sun came out again. 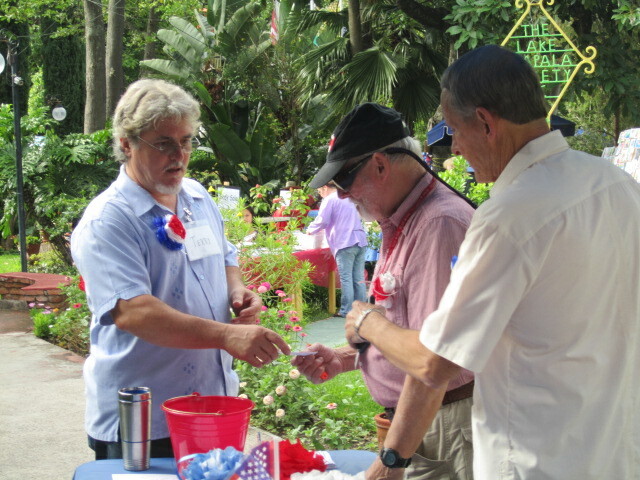 Terry Vidal is giving instructions to two of the board members, Keith Martian and Ernest Gabbard, before opening the gate. 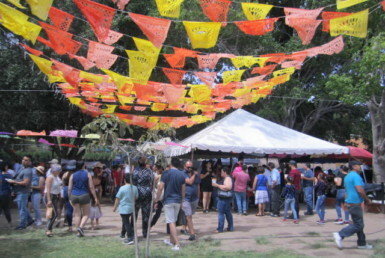 The entrance fee was 100 pesos at the door or 50 pesos in advance. 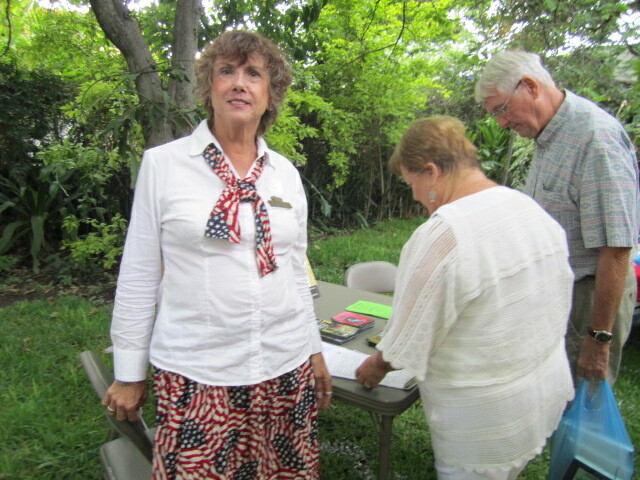 Terry is in charge of the day-to-day operations of the Lake Chapala Society. My first stop was at the area where they were selling DVDs and VHSs. I ran into one of the Canadians. (Check out her t shirt.) She was doing the same thing, picking out movies. 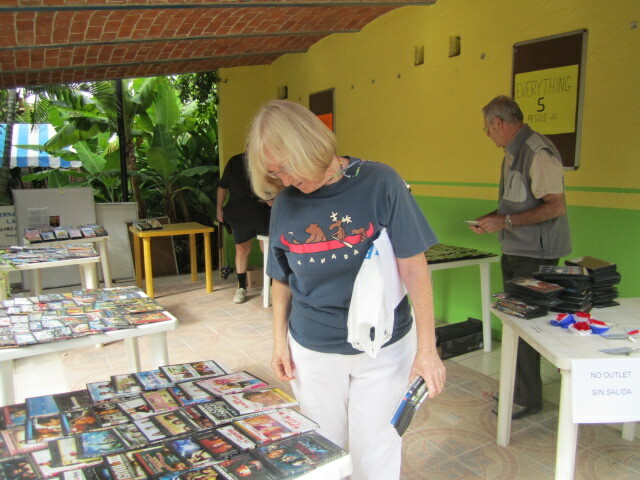 The movies were only five pesos each. What a deal! 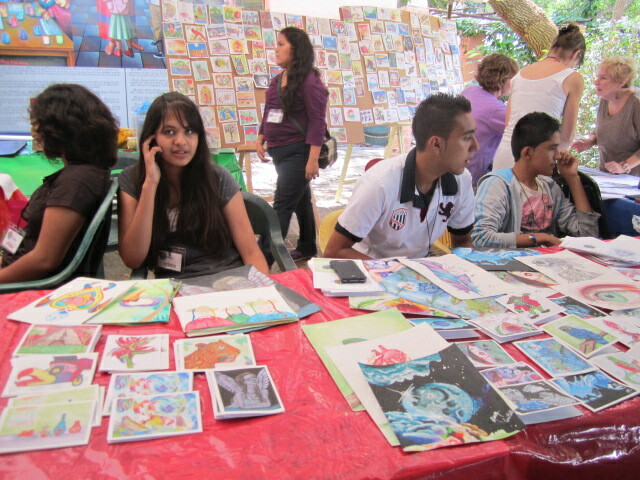 My next stop was at the art and craft table for Maestros Del Arte. In my other articles I wrote more about each organization and you may want to refer back to them. I need to apologize to people that I did not name in this article. It was extremely busy and crowded and I only managed to get a few names, sometimes not even a last name. But that doesn’t make the unnamed volunteers less important! They are all important to making a very successful Can Am Day. All the local nonprofit organizations participate in the yearly Can Am Day. 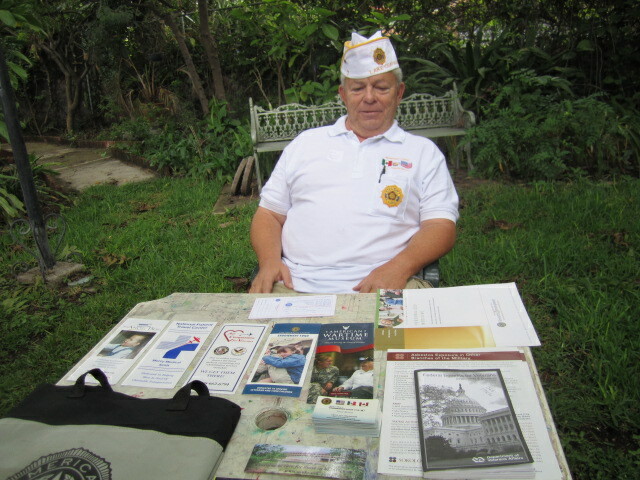 It is a time to put out fliers, sell things and ask for donations or help in other ways. It is also a way for the community to get to know them. 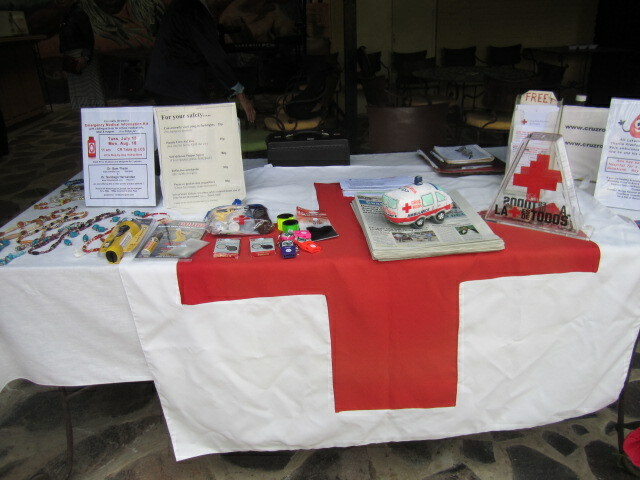 No one was at the Red Cross table when I was there. They had some things for sale on the table. 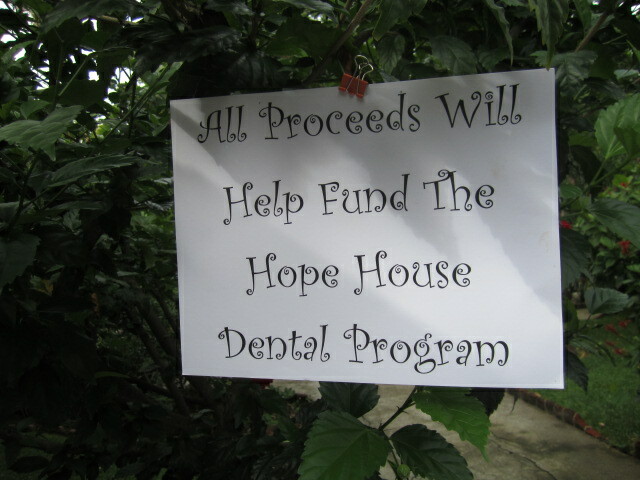 I thought is was funny that the Hope House had sweets for sale to help pay for the dental problems of their boys. 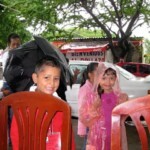 Hope house is an orphanage located in Ixlahuacan which is the next town over the mountain towards Guadalajara. It is for abused and orphaned boys. There only a small number of boys living at the house, less than twenty. 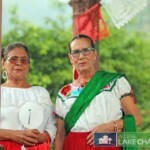 I hope they didn’t get into those delicious sweets before they were delivered to the Lake Chapala Society or more dental problems might have been the result. 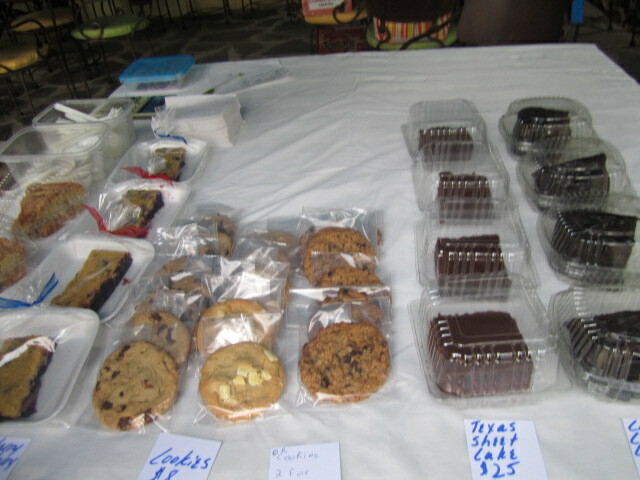 I hate to admit it but I visited this table several times during the day and bought various sweets. I may be needing to see a dentist now. And the gym. Ruthie Baker did the baking. She laughed as she told me this very appropriate last name. Leslie allowed me to put down her first name but didn’t want her last name out in public. 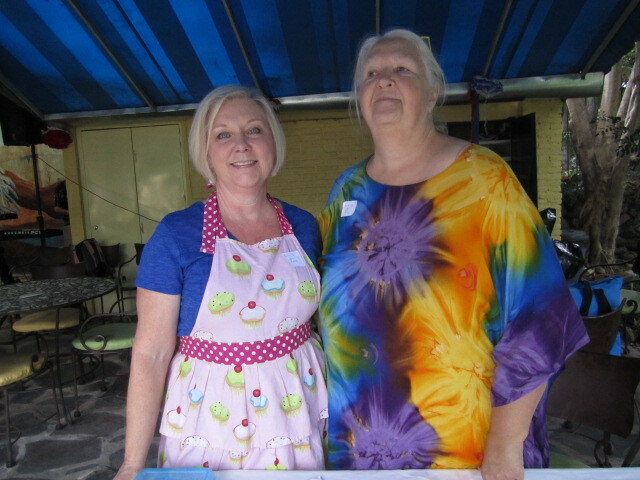 Two lovely ladies, working hard for the orphan boys….. There were two live bands. This one played in the morning and the other band played in the afternoon. Unfortunately, I did not get their names. Too many people were around, enjoying the music for me to be able to interview them. 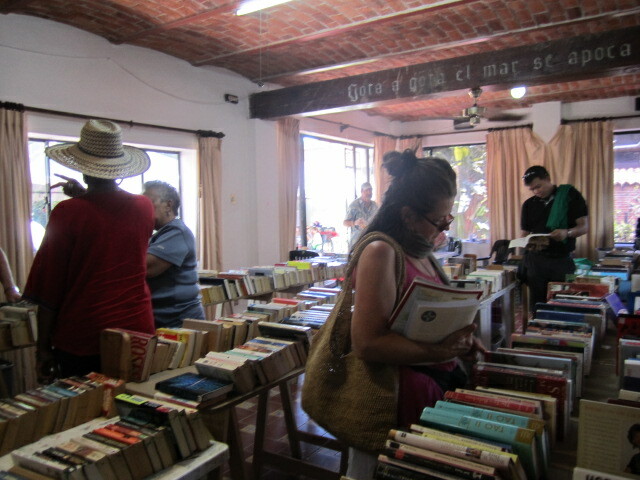 One of my favorite events is the Lake Chapala Society book sale. I bought enough books to last me for a few months. 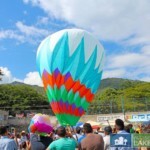 They cost from five pesos up to ten pesos. Can’t beat that price. I did not get the names of these ladies. It looked like they were enjoying themselves. 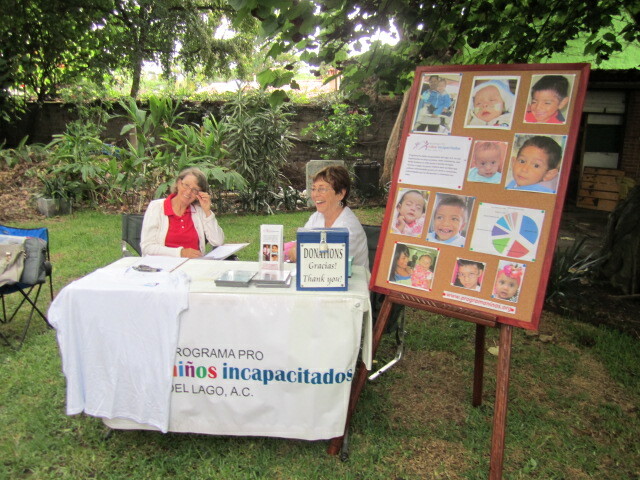 Ninos Incapacitados is an organization that helps disabled children. They have been in existence for twenty years. Many of these organizations have websites and if you put in their names you can find out more about them and how to contact or help them out. Neill James, Founder of the Lake Chapala Society, started the Needle Pushers in 1962. 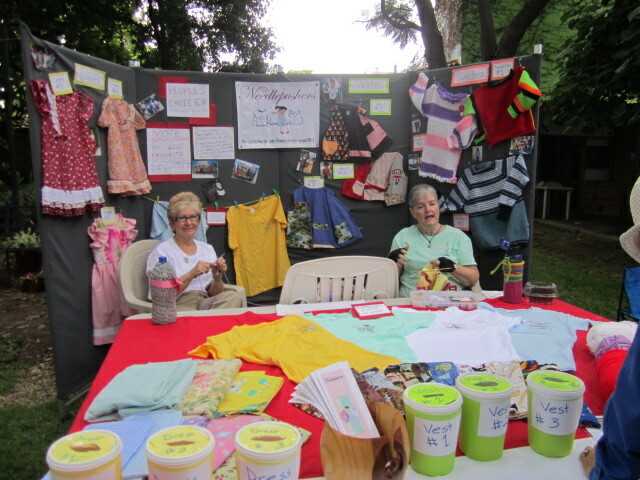 They are still meeting at the LCS to sew and knit clothing for the needy children in this area. 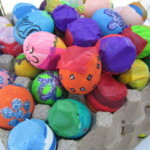 They work with donated materials. 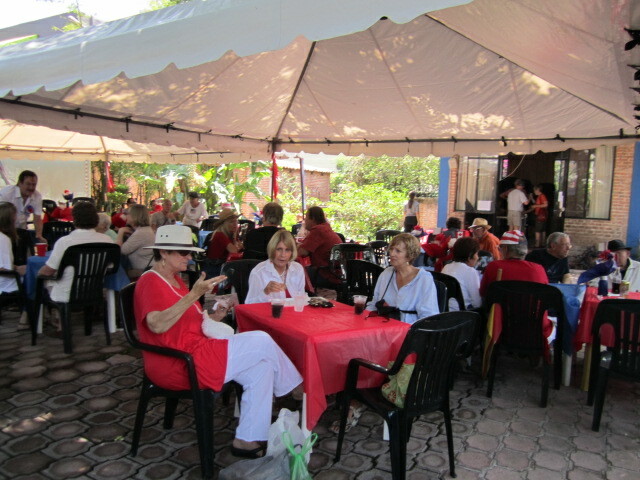 The American Legion is located in Chapala. On the Fourth of July, they are having a celebration with fried chicken, salad and dessert. Fortunately, I was able to buy a ticket for it while at the Can Am Celebration. I know it is going to be crowded. 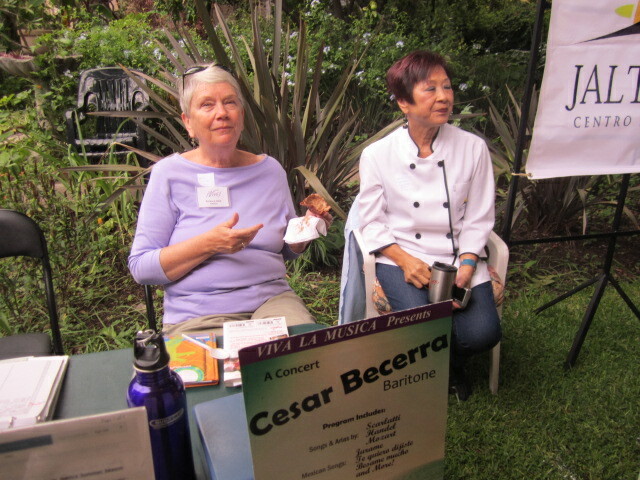 My friend Georgette was in charge of the Little Theatre table. She wanted me to see her Fourth of July outfit so she stood up for a photo. 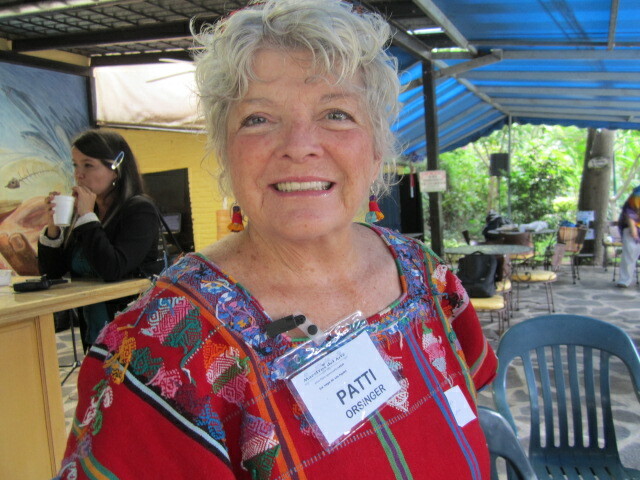 Georgette volunteers at the theatre and also acts in many of the plays. 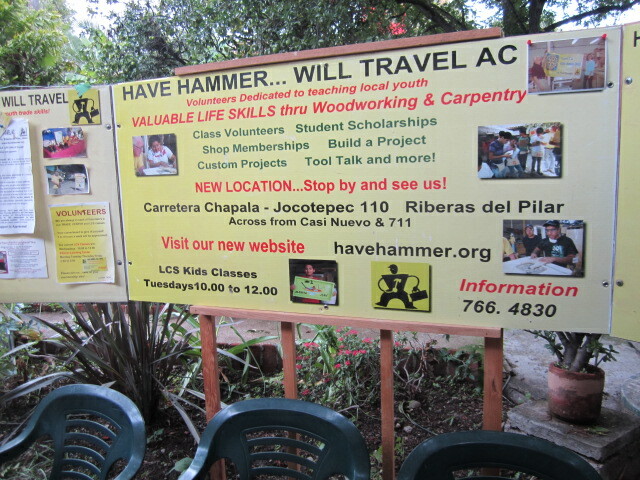 Have Hammer….Will Travel is a group that teaches children how to work with wood. They fix and sell wooden furniture. 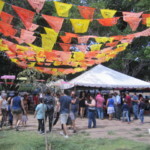 They were at one time located on the LCS grounds but they have become so successful that they now have their own place which is located in Riberas del Pilar. Towards the end of the day, the local dignitaries gathered and gave speeches, thanking everyone for a successful Can Am Day. 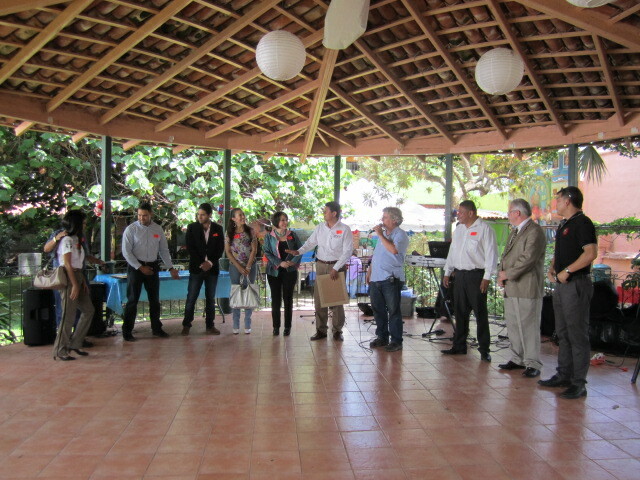 The President of Chapala was there and the American and Canadian consulates. 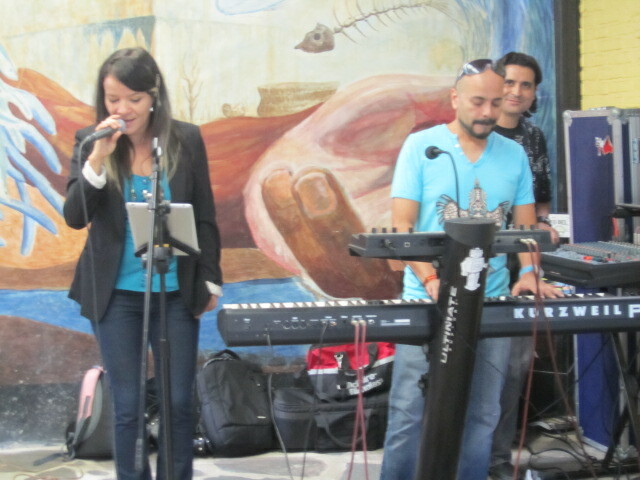 Viva La Musica is an organization that helps Mexican musicians to perform at Lakeside. 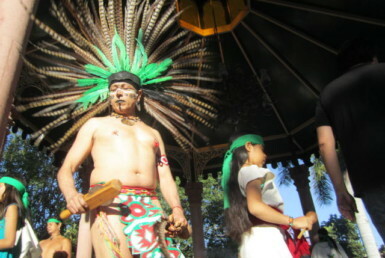 It sponsors bus trips to concerts in Guadalajara and other cities and provides financial support to local Mexican music students. 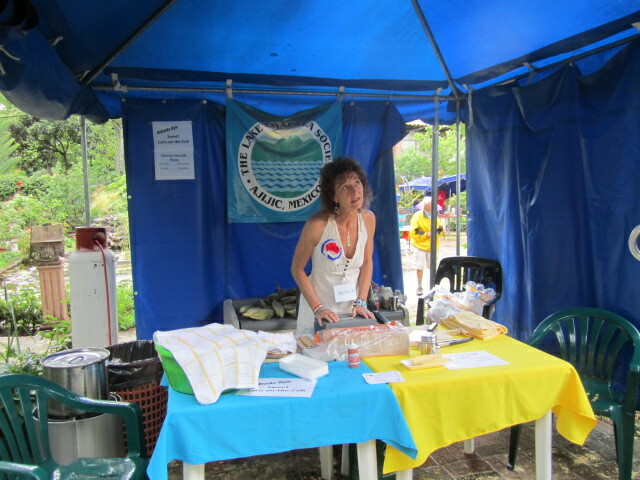 Roasted corn was offered for sale by the Lake Chapala Society. 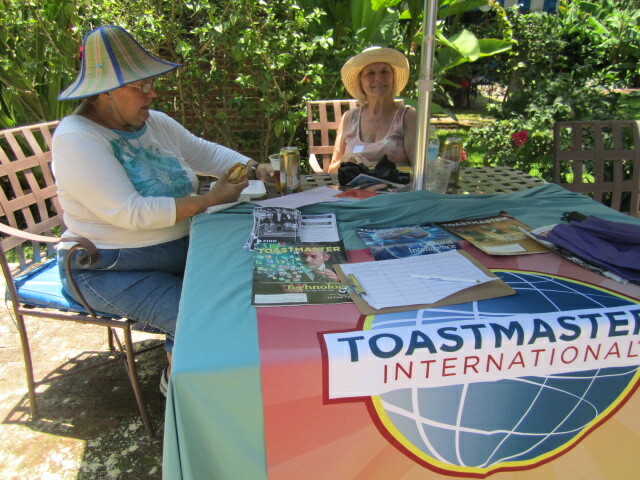 Toastmasters International also had a table. If you like to give speeches, this is the place. One week the speech will be in Spanish and then in English the next week. 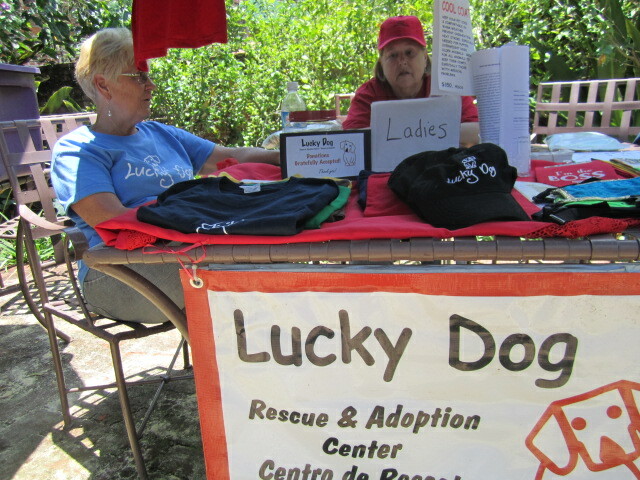 Lucky Dog shelter also had a table. I wrote an article about them. 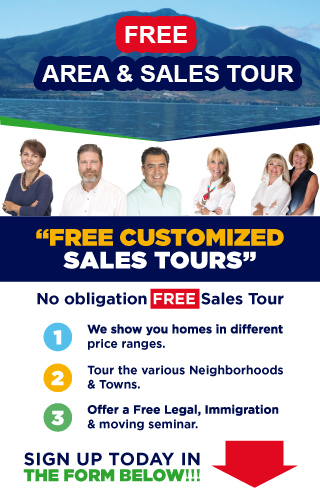 If you are interested, look it up on this site. They are life savers for many dogs. After visiting the volunteer tables, I took a break and had lunch. I am sure I missed some of the volunteer groups and I apologize for that. Just too many for me to see them all. I needed to relax, visit with friends and enjoy the rest of the afternoon. Tony’s Restaurant in San Antonio prepared the meal this time. 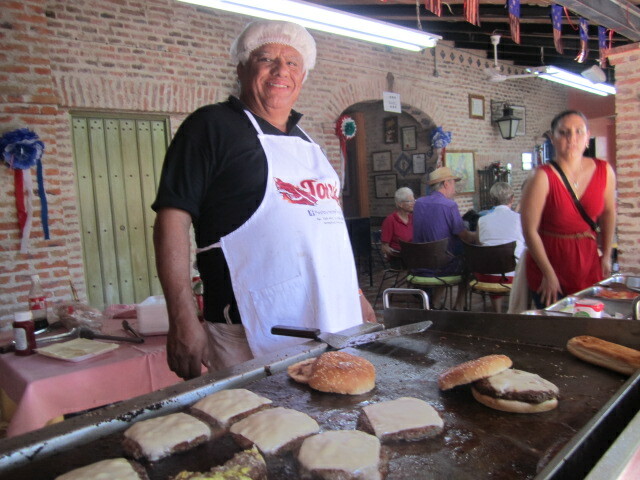 The cook from Tony’s made some delicious hamburgers. The last group I visited was the Children’s Art Program. 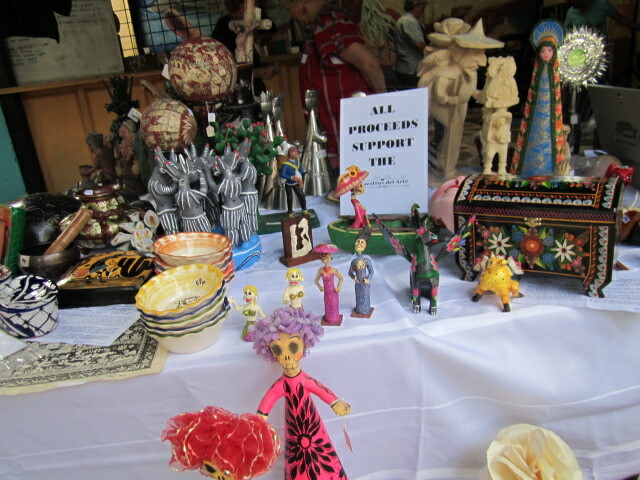 They were selling some of their art work. Notice that one of the young girls was on her cell phone. Typical of the young all over the world. 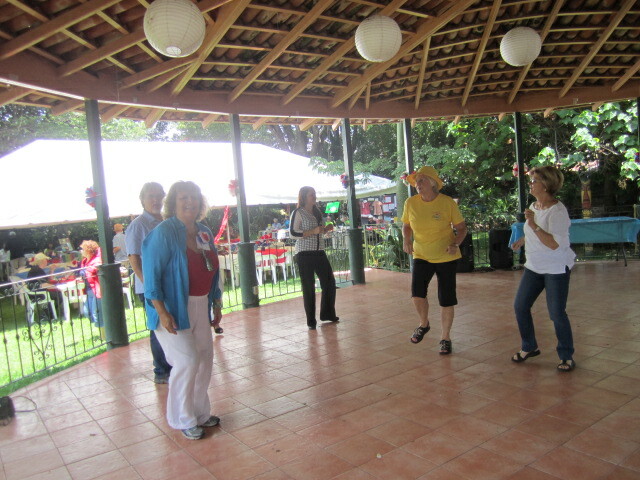 A nice way for me to end the day was dancing with my friends. In any event here, you will see a group of women dancing together. Partners not necessary. There aren’t enough men to go around. Even though there was some rain, it was a very successful Can Am Day. I enjoyed everything. I bought books, movies and gifts for my family. I overate, danced, had a beer, and visited with friends. It was a very special day. Join us next year if you are in the area. You won’t regret it!